A bus tour to celebrate National Landcare Week gave more than 20 volunteers from Ayr, Townsville and Magnetic Island a chance to visit project sites and share ideas on sustainable land management. NQ Dry Tropics partnered with local landcare groups to organise the tour, which began with a visit to Ross River Bush Garden in Mundingburra – one of the oldest community restoration projects in Townsville that has been tended to by Coastal Dry Tropics Landcare Incorporated (CDTLI) volunteers since 1994. The group then visited the beautiful Wongaloo wetlands at the base of Mount Elliot where they witnessed thousands of Black Swans, Brolgas, and Magpie Geese. This area features highly-endangered gallery rainforest, which is under threat from weeds including Pink Bauhinia and Cat’s Claw Creeper. The Wetlands and Grasslands Foundation manages the site with support from community groups such as Conservation Volunteers Australia and Gudjuda Reference Group Aboriginal Corporation. 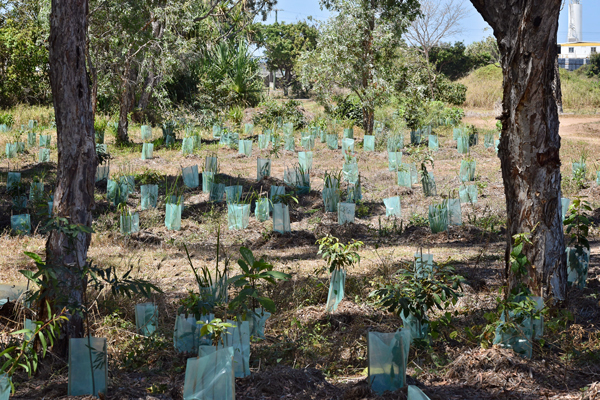 The final stop was Morratt’s Pitt in Ayr, where local group Lower Burdekin Landcare Association has planted more than 2,500 trees in the first half of 2017, thanks to an $11,000 NQ Dry Tropics Community Landcare Grant 2016-17, funded through the Australian Government’s National Landcare Programme. Revegetation site at Morratt’s Pit, Ayr. Keith Kiloh, Chairman of Lower Burdekin Landcare, said that he was proud of his group’s efforts, made possible through the Community Landcare Grant. 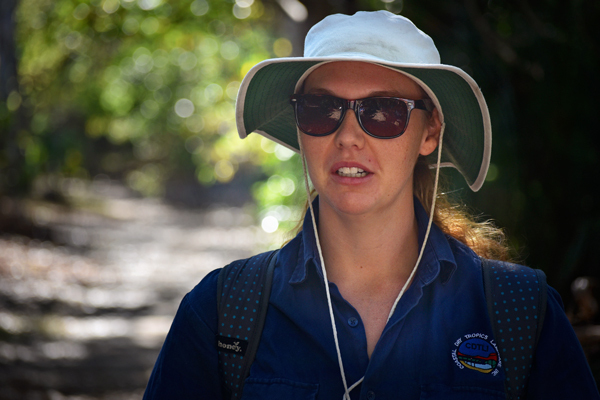 “We have a dedicated group of volunteers who give their time to looking after the local environment, but without the funding opportunity from NQ Dry Tropics we would not have been able to achieve what we set out to do. These new trees will create important habitat for native animals in an urban location, and hopefully provide somewhere for local residents to come out and enjoy their environment”, Mr Kiloh said. 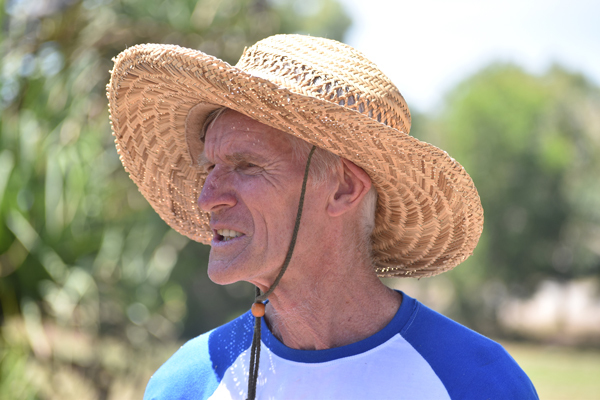 Keith Kiloh, Chairman of Lower Burdekin Landcare Association. CDTLI coordinator Lucy Holmes said the tour was a great opportunity for community volunteers to showcase their work. “What a great way to celebrate National Landcare Week! The sites we visited today demonstrate the great things passionate volunteers can achieve, Ms Holmes said. Lucy Holmes, Coordinator, Coastal Dry Tropics Landcare Incorporated. NQ Dry Tropics Project Officer Thijs Krugers said it was important to put on events that connect like-minded groups and help them work together to protect and improve our environment. “Many volunteers told us that they wanted a chance to see what other community groups were up to so they could learn from each other’s projects. These volunteers put in an amazing effort, and we are happy to support them however we can”, Mr Krugers said. 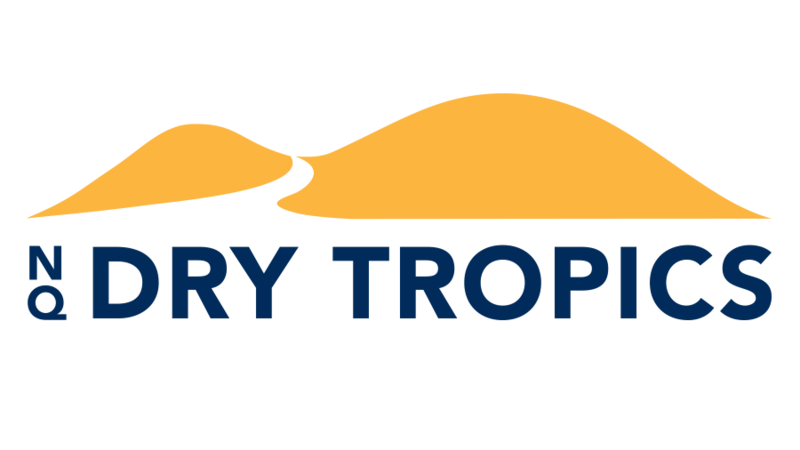 Visit the Volunteering Dry Tropics Facebook page to learn more about local community group projects. Main photo: The tour group at Wongaloo.